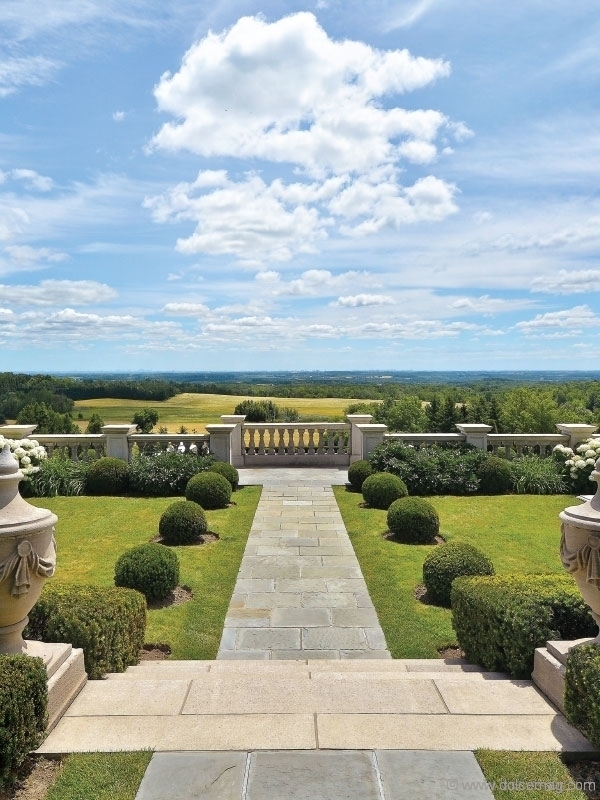 Stoneridge Hall, an 86-acre estate in Caledon inspired by Georgian homes along the eastern seaboard, offers more than 13,000 square feet of living space with a view of the Toronto skyline (squinting required). 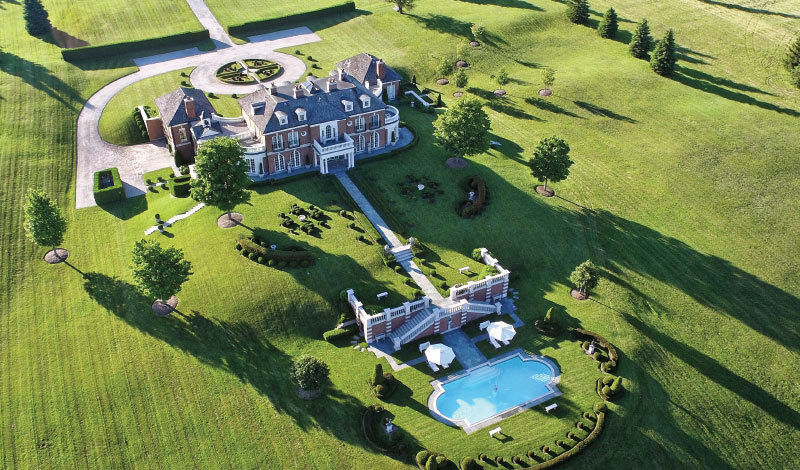 Rarely if ever in the Greater Toronto Area has there been a real estate offering as exclusive as Caledon’s Stoneridge Hall, set amid 86 acres of rolling farmland within an hour of downtown Toronto. “You simply cannot match the combination of the superb setting, proximity to golf, skiing, riding and the quality of its design, created by Joe Brennan of Toronto and Palm Beach,” says broker John Dunlap of Moffat Dunlap Real Estate, who has Stoneridge Hall currently listed for $11.8 million. After two years of planning, the owners were ready to build with designer Brennan. 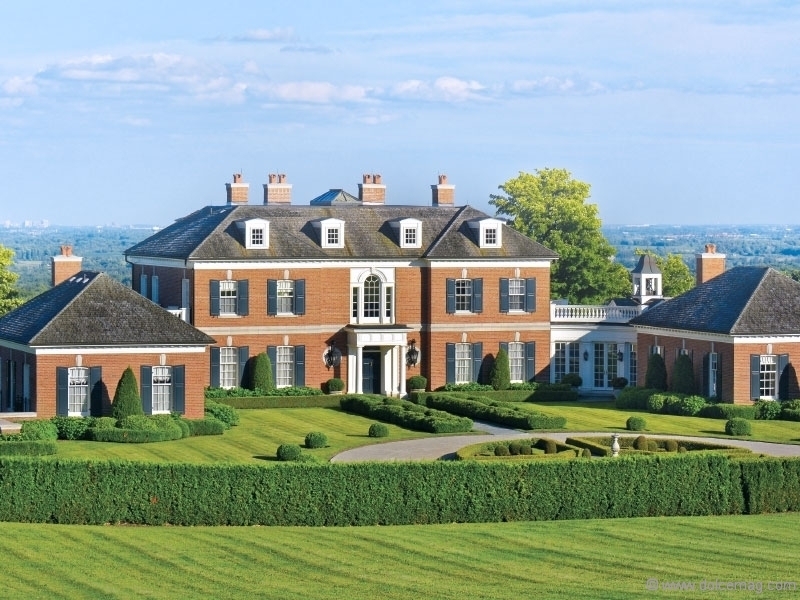 Their inspiration was the grand Phipps estate on Long Island, N.Y., known as Old Westbury Gardens. They also gathered their ideas from fine Georgian homes all along the eastern seaboard and in the U.K. and combined their favourite elements to create Stoneridge Hall. 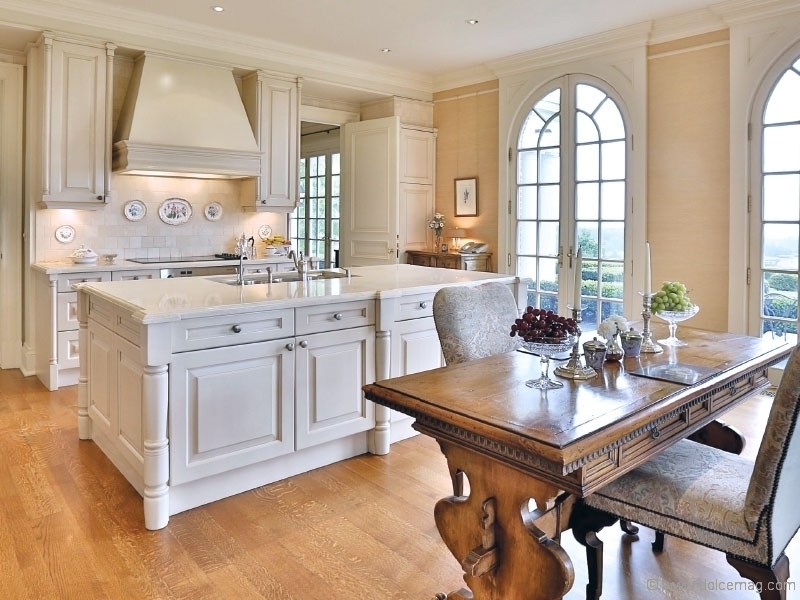 The result is a 13,725-square-foot stunner that features seven en suite bedrooms and 14 bathrooms, set high on the Niagara Escarpment in the Caledon Hills, affording unspoiled vistas of the surrounding farmland, all the way south to the downtown Toronto skyline. The property is half an hour from Pearson Airport and minutes from Caledon Ski Club and Devil’s Pulpit Golf Course. A generous Georgian-style entrance hall provides a grand introduction to the 5,375-square-foot ground floor. 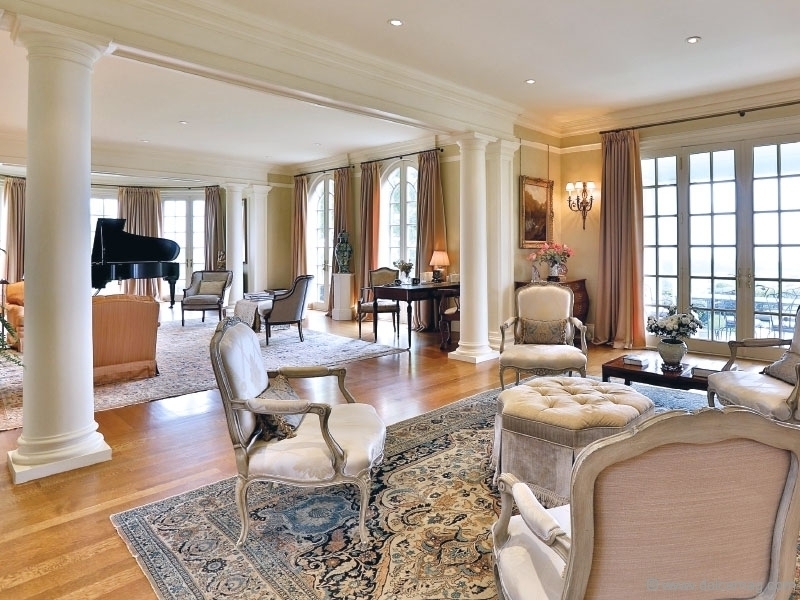 This level also contains a reception area, great room, piano apse and 380-square-foot kitchen. The kitchen features custom cabinetry, a large centre island, marble countertops, two Miele dishwashers, two Miele ovens and two Subzero built-in refrigerators and freezers. There is also a 165-square-foot eat-in breakfast area with French doors opening to the West Terrace garden, the perfect place to start a summer’s day. In the dining room, elaborate ceiling enhancements have been installed, along with a six-arm chandelier and two full-length windows with north-courtyard garden views. The ground floor also includes an east and west wing, a handsome library, a main guest bedroom and two separate and complete bathrooms. Up on the second floor, French doors in the spacious master bedroom open onto a balcony with east garden views. Its two bathrooms have polished marble and limestone flooring. Down on the 4,550-square-foot lower level is a banquet room well-suited to grand entertaining, along with a theatre room, an exercise room, a private spa and a heated, three-bay garage.